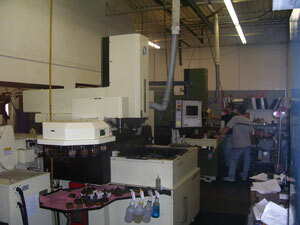 Laser Tool & Plastics is a company dedicated to the design, build, and run of plastic injection molds. We design tools that produce complex 3-D components and assemblies that service the small appliance, medical, automotive, custom packaging and electronic industries. We utilize the latest 3D engineering and manufacturing software that allows us to take your 3D Solid Model and provide you a finished product or parts in 4 weeks or less. The mold construction time is now dependent only on the time to build the custom cavity blocks and cores. While a mold built with off the shelf components will not be quite as refined on cycle time as a complete custom mold, the turn-around time and cost factor will be an advantage in many cases. 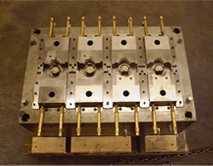 Quick Turnaround molds will be comparable in price to many off shore mold suppliers while providing a mold that has a complete design plus the ability to replace the standard components as needed. The majority of the tools we build are classified as grade 1 or 2 based on SPI designation; type 401/101 and 402/103. These tools are backed by our extensive warranty. We have devoted a majority of our time to the design, build, qualify, and run of multi-cavity hot runner molds that produce gears, and mechanical assemblies from high-engineered plastics. 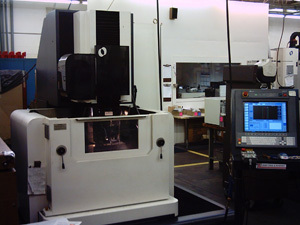 Onsite presses allow mold evaluation to happen at the press with Engineering, Tooling and Plastics all present, instead of a confrence room.